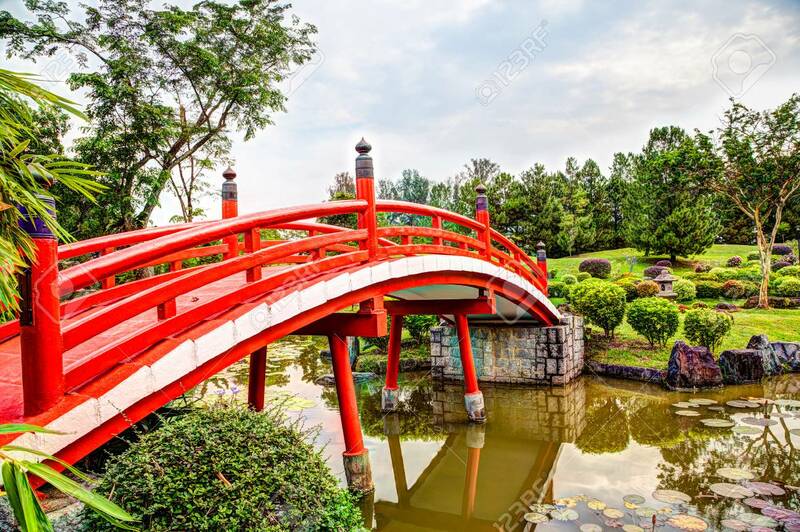 Red Wooden Bridge Over Tranquil Pond At Japanese Garden, A Free.. Stock Photo, Picture And Royalty Free Image. Image 87708867. Stock Photo - Red wooden bridge over tranquil pond at Japanese Garden, a free public park within Jurong Lake Gardens in Singapore. The gardens are popular among exercise enthusiasts, bird watchers and nature lovers. Red wooden bridge over tranquil pond at Japanese Garden, a free public park within Jurong Lake Gardens in Singapore. The gardens are popular among exercise enthusiasts, bird watchers and nature lovers.